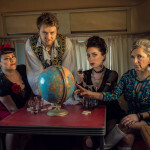 String quartet, string band, vocal quartet, jaw-dropping improvising world-music collective….pick a box and Real Vocal String Quartet will think outside it, with style. RVSQ plays original songs and unique arrangements that pay tribute to music from Appalachia to Kenya to Brazil, with sparkling improvisation that impresses and moves. New music with international artists from SF Sister Cities. 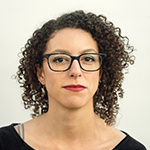 We present Culture Kin, a new body of work funded by the Gerbode foundation in collaboration with Women’s Audio Mission at the Yerba Buena Center for the Arts, introducing our newest recording. Please join us for this very special event. RVSQ is working on a new body of work in collaboration with artists from 8 of San Francisco’s sister cities including Seoul SK, Osaka Japan, Abidjian, Cote D’Ivoire and Amman, Jordan. We start recording in April 2018 and premiere all 8 works at the Yerba Buena Center for the Arts in the spring of 2019. To move forward with this project, RVSQ welcomes Sumaia Jackson on five string fiddle, Helen Newby on cello and Sam Shuhan on string bass. Yes BASS. We are changed and it’s a beautiful sound. Our newest recording is upcoming! Curious About Our Last CD? 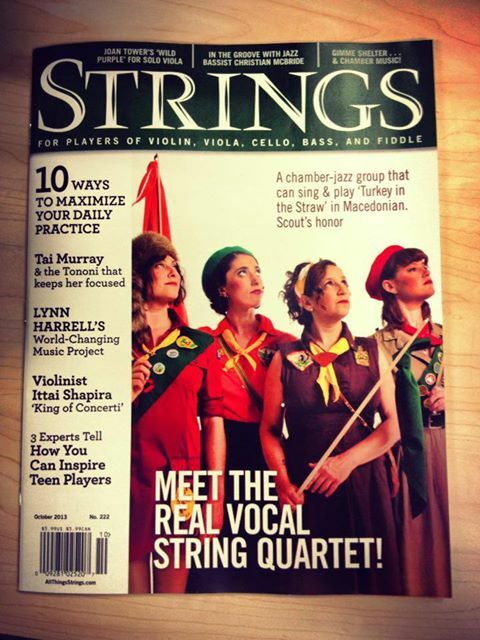 “Trusting the Muses: Classical Skills and Indie Thrills Abound on Real Vocal String Quartet’s Four Little Sisters.” Read about it now! 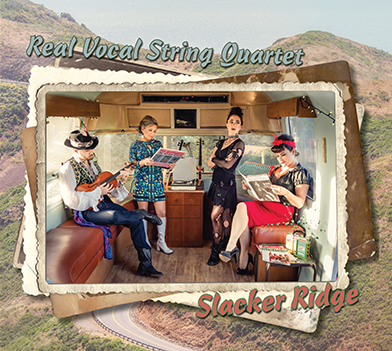 And while you're waiting, listen to some music from our last CD, Slacker Ridge! 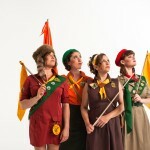 Real Vocal SQ presenting Culture Kin and CD release! RVSQ Culture Kin CD release show in LA! 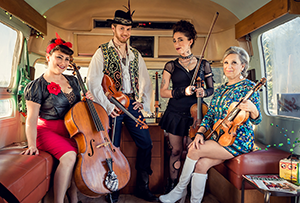 On a mission to knit the world closer together through cultural collaboration, Real Vocal String Quartet freely mixes styles and transcends genres. 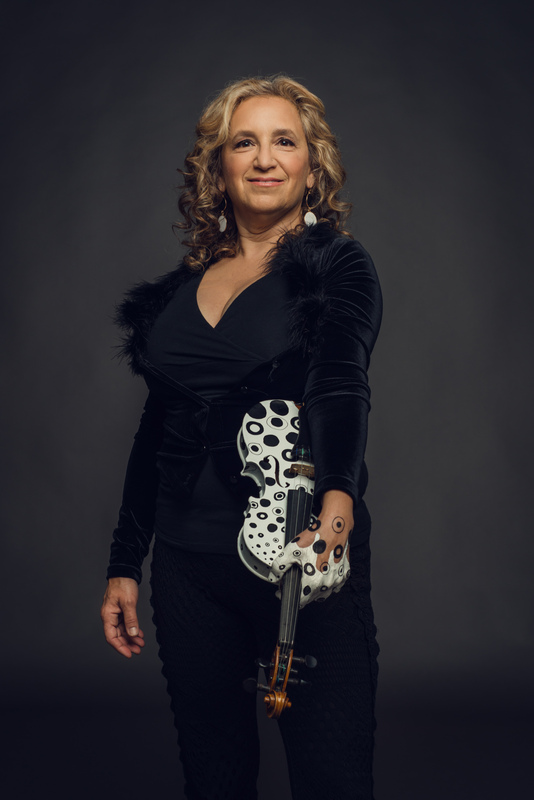 RVSQ began with violinist Irene Sazer’s inspiration to combine her musical passions: chamber music, improvising, composing, and singing, and continues to grow with fiddler Sumaia Jackson, cellist David Tangney, and bassist Sam Shuhan. The ensemble embraces diverse influences from classical, jazz, rock, as well as traditional roots music from West Africa, Brazil, and rural America. 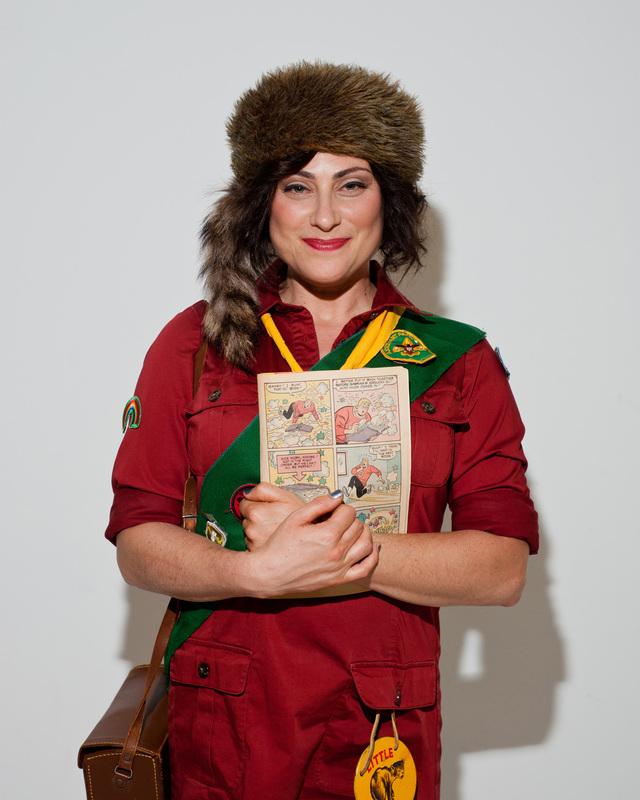 With past performances on the Tonight Show, with Feist at Coachella, and as cultural ambassadors with the State Dept., RVSQ strides forward on an adventurous path. 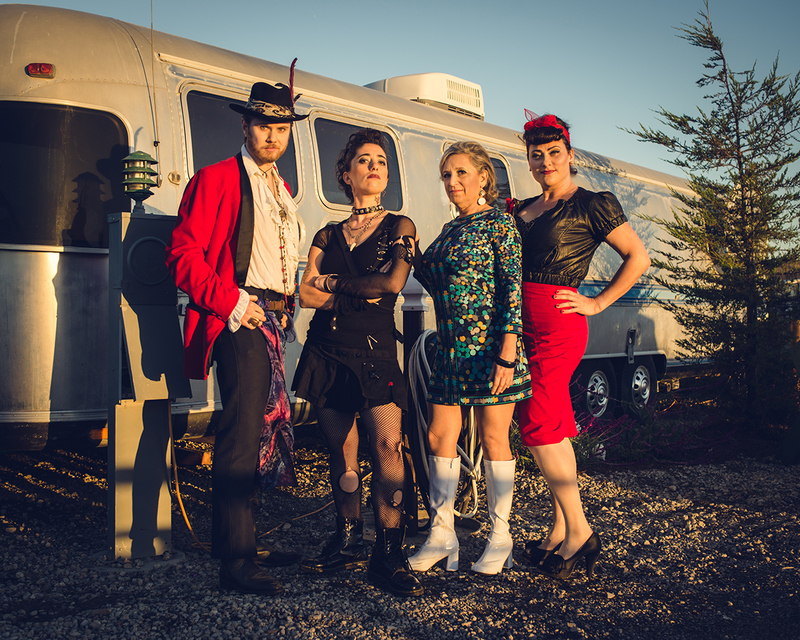 Starting from the eclectic, musically sophisticated base of the San Francisco Bay Area, RVSQ has found a national audience since releasing their debut CD in 2010. RVSQ’s third album, “Slacker Ridge,” was released in March, 2016. Selection by the U.S. State Department to perform as musical ambassadors with the American Voices program, which will send RVSQ to 5 countries in Europe for concerts and educational programs in Fall 2012. Press coverage in national publications including Christian Science Monitor, Paste, Relix, Strings Magazine, and The Strad. 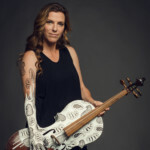 Irene Sazer is an improvising violinist, composer, arranger, and singer whose unique style combines world and roots music with classical, jazz, and pop sensibilities. 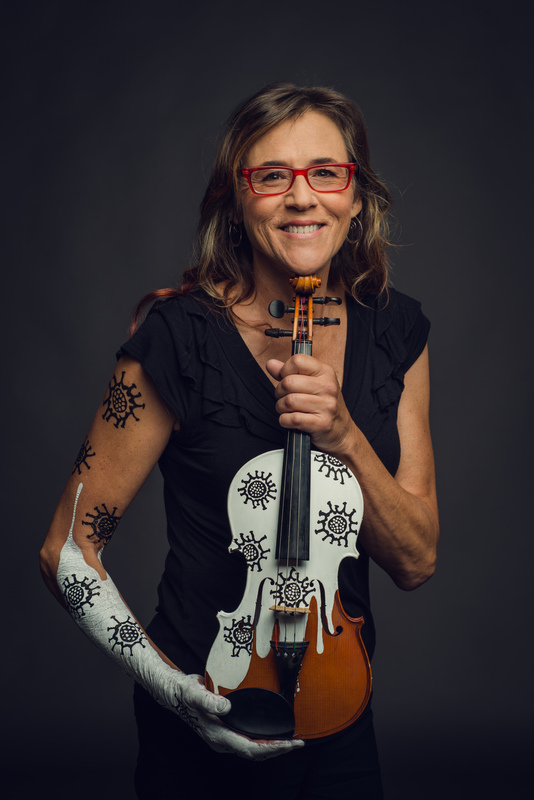 Known internationally as a founding member of the Turtle Island String Quartet, Sazer’s career has encompassed success as a concerto soloist, a concertmaster, an established recording artist, and a recognized educator of music and improvisation. 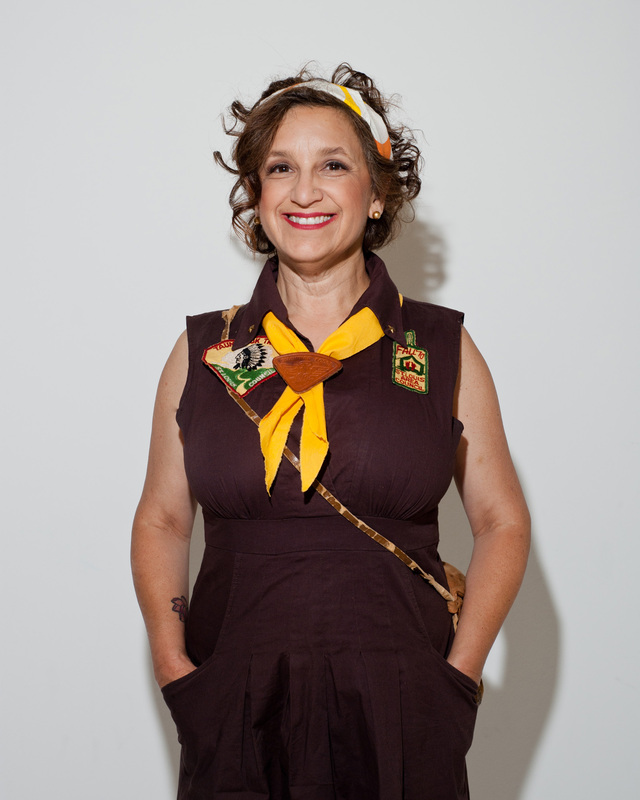 She founded and directs the School of Strings and String Improvisation in Berkeley, California. 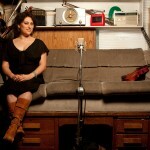 Sazer’s own recording First Things First highlights her original voice as a singer and songwriter. 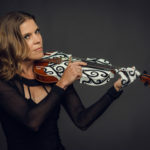 An in-demand genre-hopping violinist and fiddler, Irene has recorded and/or performed with Jai Uttal, Ali Akbar Khan, Ella Fitzgerald, Ray Charles, Natalie Cole, Frank Sinatra, Smoky Robinson, David Grisman, Linda Rondstadt, Bjork, Maria Marquez, and Billy Joel. 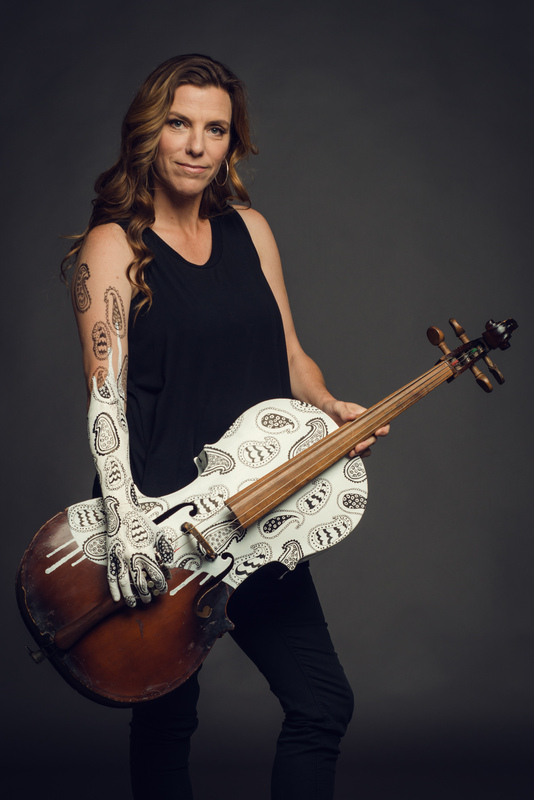 Passionate about combining her musical interests in new ways, Sazer continues to push boundaries, exploring the world with her violin, her voice, and her imagination. As one of the leaders in modern cello playing David Tangney has brought his unique sounds and nontraditional sounds to a vast landscape of genres. Working with artists such as Rostam, Lucius, and Natasha Bedingfield he has worked in the sudio and toured extensively both domestically and internationally. He currently resides in Los Angeles working as a freelance cellist. 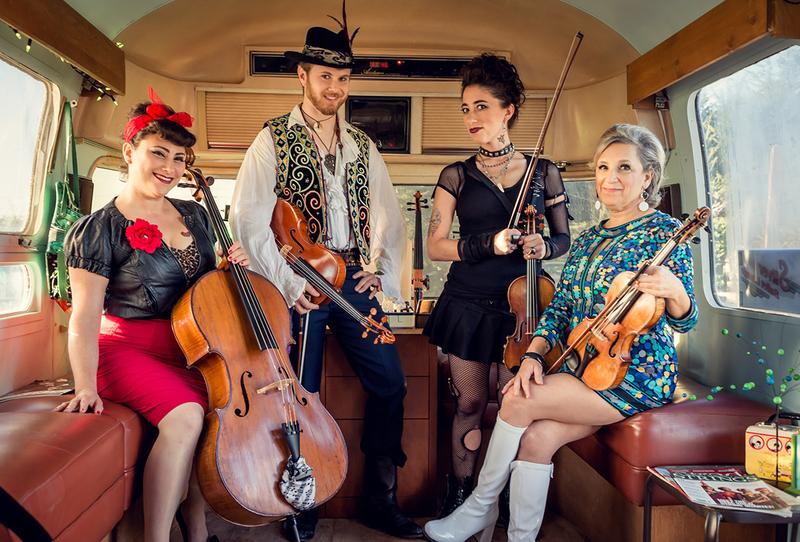 Fiddler and tunestress Sumaia Jackson is a quintessential embodiment of the West Coast fiddle sound – driving groove, smooth and open sound with sparkly twists and exciting turns. 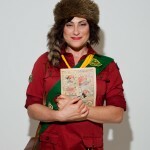 Born and raised in Santa Cruz, California, she studied classical violin intensely. 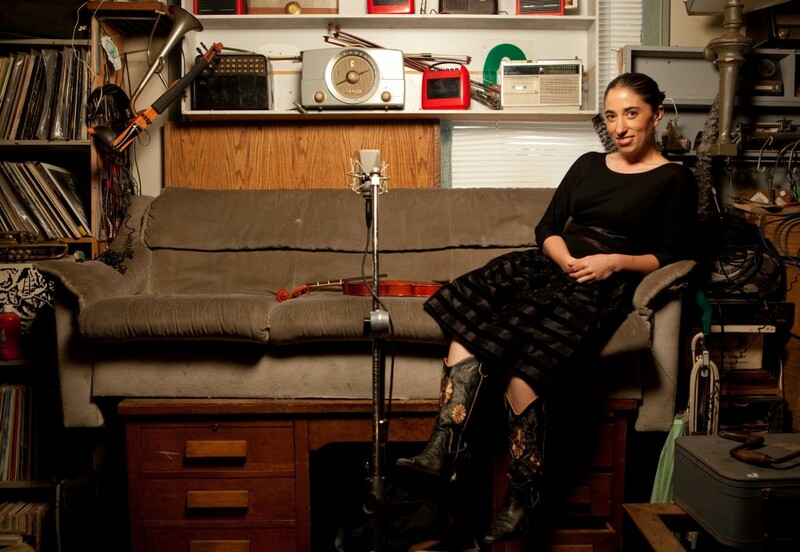 During her teenage years Sumaia’s musical path widened – between Scotland, Canada, and the United States, she actively sought out communities of folk and roots musicians in Appalachian Old Time, Bluegrass, and more recently, Jazz. 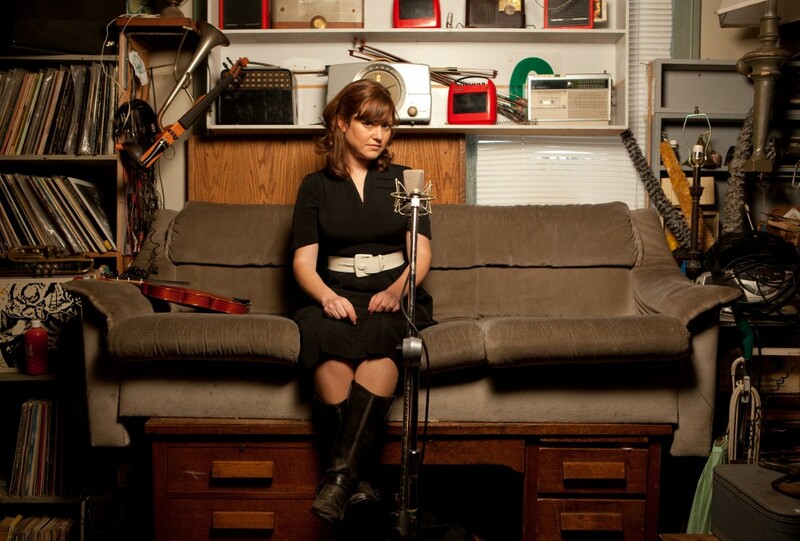 In May 2016, she obtained a Bachelor’s Degree in Performance on a full scholarship, with a minor in American Roots Music, from Berklee College of Music in Boston. 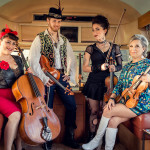 Now living in San Rafael, CA, Sumaia performs with Jayme Stone’s Folklife, with The Real Vocal String Quartet, with award winning Canadian fiddler Adrianna Ciccone, and various other groups around the United States. 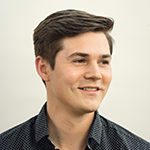 Sam Shuhan, Principal Bass of The Santa Barbara Symphony, currently resides in Los Angeles where he stays active performing, teaching, recording and composing on upright and electric bass. Shuhan is finishing a Graduate Certificate after completing his Master’s Degree at the University of Southern California, where he studied with professor David Allen Moore. His musical education began in Ithaca, New York where he received his Bachelor’s Degree from Ithaca College under the tutelage of Nicholas Walker. During this time, Shuhan studied classical and jazz and was occupied with a multitude of professional work in the upstate New York area. Shuhan was the winner of the 2011 Lee Strebel Memorial Youth Concerto Competition and in the following year performed as a soloist with the Cayuga Chamber Orchestra. Available now from CDBaby, iTunes, Amazon, BandCamp, Rhapsody, and at our live shows. Available from CDBaby, iTunes, Amazon, Rhapsody, and at our live shows. a site-specific permanent art installation in North Beach, San Francisco, 2008. Our arrangement of "Falling Polska" by Vasen Video produced by Chasing the Moon. 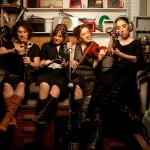 The Real Vocal String Quartet is a chamber-jazz group that can sing and perform ‘Turkey in the Straw’ in Macedonian. 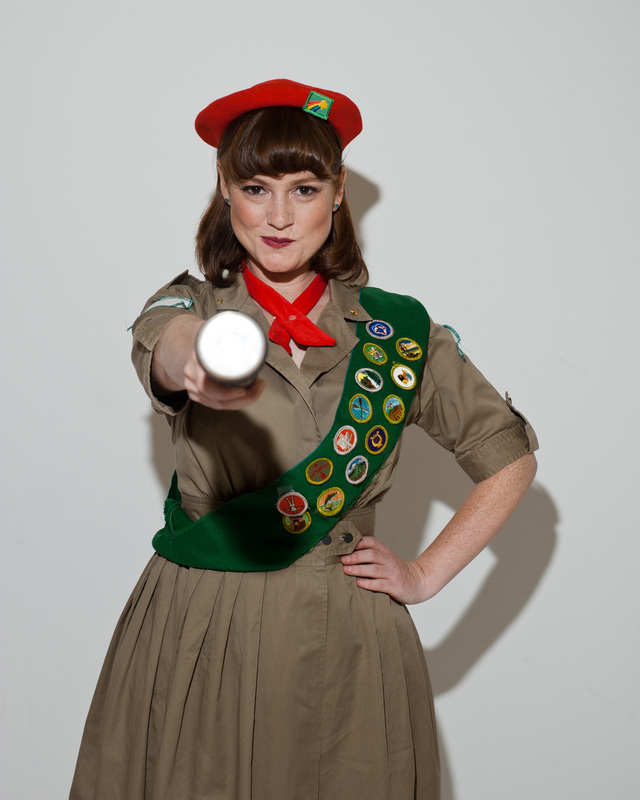 Scout’s honor. Machine: violinist Alisa Rose’s sophisticated arrangement is carried off with aplomb, the group’s finely textured percussive playing accompanying a clean, stripped-back vocal. 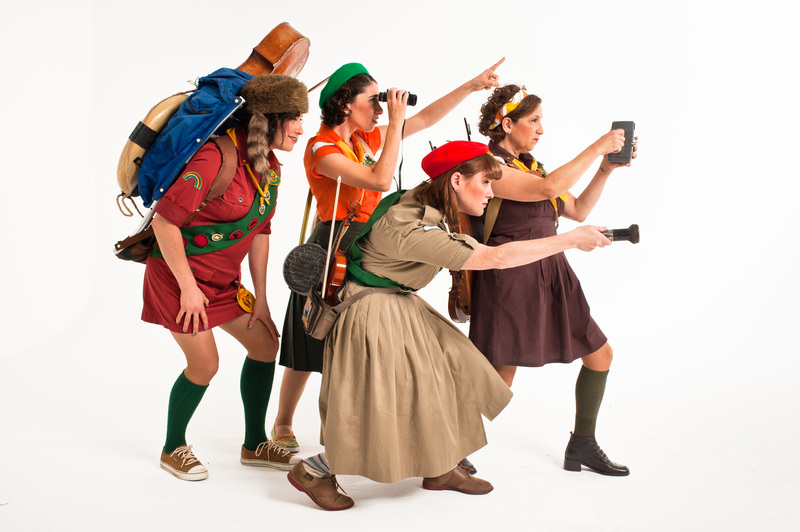 It’s a recipe that continues into subsequent songs – the ensemble’s range of pizzicato builds a really strong and distinctive rhythmic feel that makes their performance of folk/pop songs both credible and interesting – not something that many string quartets can pull off. 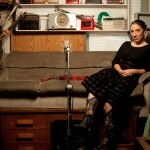 In fact though, vocals are used relatively sparely so there’s plenty of room for the group to demonstrate their playing calibre – the stylish, bluesy phrasing of Homage to Oumou, the polished violin solo of Elephant Dreams or the warmth of the bluegrass Allons à Lafayette are prime examples. From the opening track, a string-quartet arrangement of Regina Spektor’s “Machine” (with its intimate vocal), the Real Vocal String Quartet calls the listener to attention with the clockwork tap of bow on wood and the grating snap of a well-played chop. 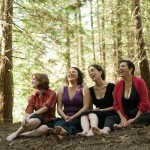 This independent release from the San Francisco Bay Area–based string quartet—violinists and vocalist Irene Sazer and Alisa Rose, violist and vocalist Dina Maccabee, and cellist and vocalist Jessica Ivry—shines a light on one of the most talented and innovative quartets on the chamber-music scene (Sazer is an up-and-coming composer and a founding member of the Turtle Island Quartet, Rose is a current member of Quartet San Francisco, and all are gifted arrangers, who have contributed arrangements to this publication’s Strings Charts line). Listen to a feature about RVSQ on the California Report Friday, December 21, 2012. The group, just back from a 5 week cultural ambassadorship in 5 Eastern European countries, plays and tells stories from the trip. The game has changed more than many are ready to admit, and being a classical musician these days requires some real versatility. 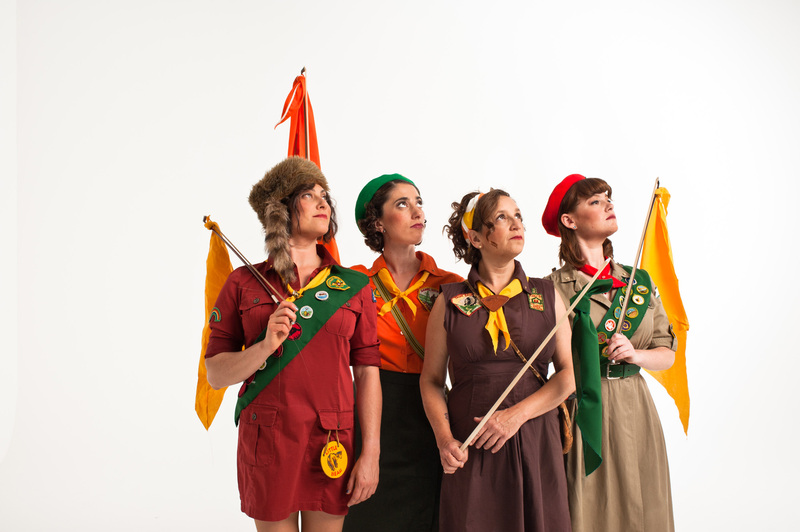 But with two CDs under its belt, including its recently released Four Sisters album, plus a month-long tour on deck, the Real Vocal String Quartet (or RVSQ) must be doing something right. 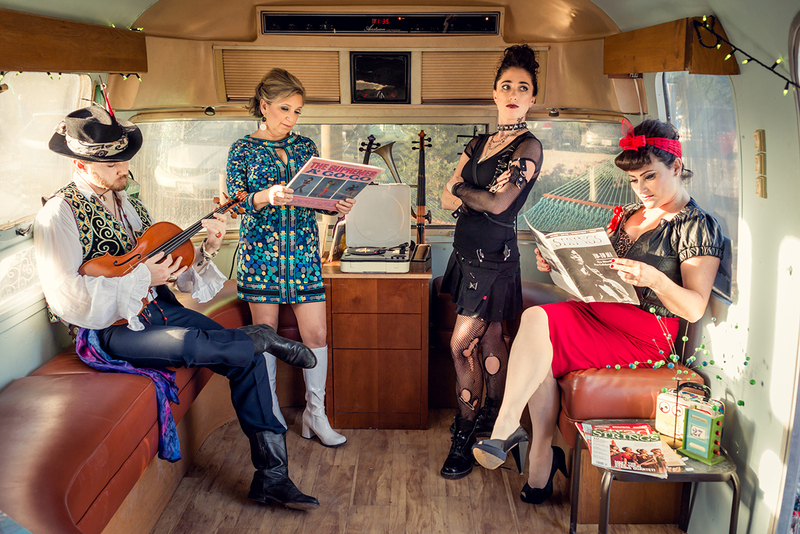 The Real Vocal String Quartet, based in the San Francisco Bay Area, has released its new album Four Little Sisters this month. 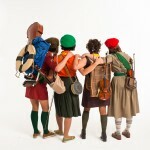 The ensemble will be presenting the new material during an East Coast tour. 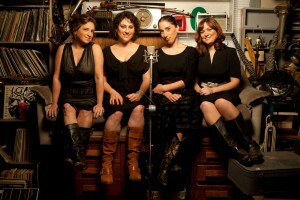 The quartet is known for its combination of classical music, jazz improvisation, American roots genres and world music. 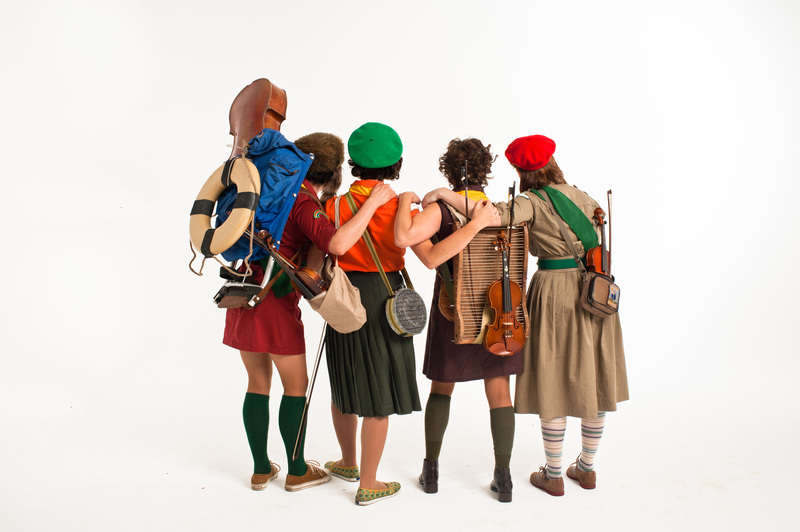 On Four Little Sisters, the ensemble includes a tribute to Malian star Omou Sangare, new arrangements of songs by Brazilian star Gilberto Gil, Cajun maverick Michael Doucet and pop singer David Byrne; and a Swedish polska with a little bit of klezmer. 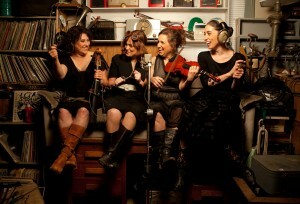 Four Little Sisters is a genuinely diverse album by a string quartet that holds great promise. 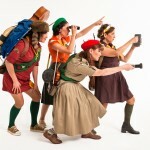 Real Vocal String Quartet are not your typical string quartet. 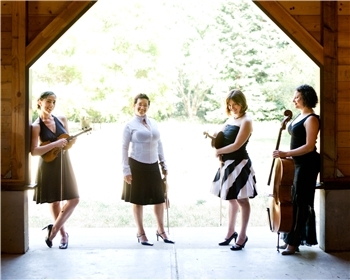 These four women from the Bay Area play a lot more than baroque and classical music. 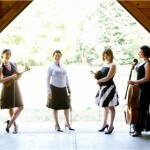 RVSQ came together with a mission to combine chamber music, improvising, composing, and singing. Their style of chamber music is all encompassing. 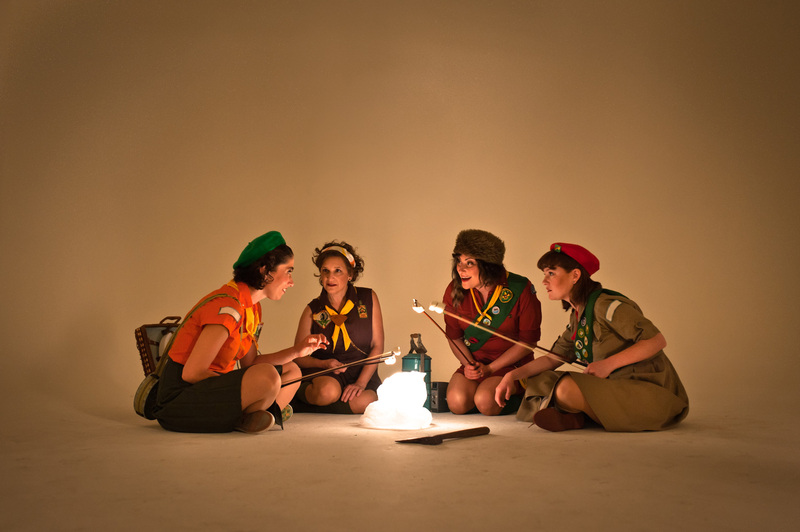 On their latest record, Four Little Sisters, RVSQ perform their own stunning renditions of Regina Spektor’s “Machine,” Gilberto Gil’s “Copo Vazio,” Duke Pearson’s “Sweet Honey Bee,” David Byrne & Dirty Projector’s “Knotty Pine,” and more. 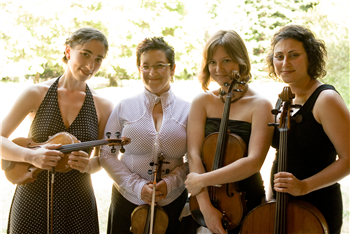 From the opening track of their new album, Four Little Sisters, Real Vocal String Quartet bring a stunning vision to their arrangements. The first song is an acoustic stringband re-envisioning of Regina Spektor’s song “Machine,” and I guarantee you haven’t heard a cello, violin, or viola played this way before. Machine-gun stutters, growling, rippling rhythms that sound almost harmful to the instrument, and floating ethereal vocals. Sounds a bit out there, but these four women are grounded by the traditions and the instruments they’ve chosen, and the album has a remarkable consistency. 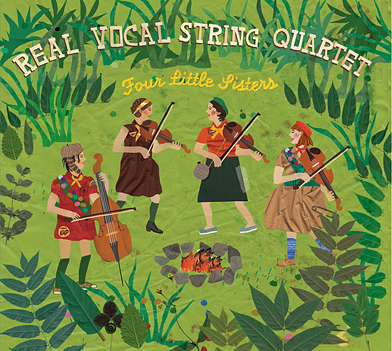 Four Little Sisters is the second collaborative album of Real Vocal String Quartet, a skilled set of arrangers and composers who enjoy reinventing traditional music by drawing on inspiration from jazz, pop, the great classics, and more. 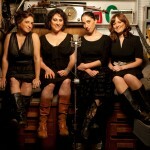 An instrument-heavy medley offering a harmonious fusion of ideas and rhythms, Four Little Sisters is highly recommended as an excellent choice for music lovers looking for something different. The tracks are “Machine”, “Homage to Oumou”, “Elephant Dreams”, “Copo Vazio”, “Allons a Lafayette”, “Sweet Honey Bee”, “Falling Polska”, “Durang’s Hornpipe”, “Knotty Pine”, and “Grand Mammon Waltz”. Former Turtle Island Quartet violinist Irene Sazer, a pioneer of string-band improvisation, founded the all-female Real Vocal String Quartet. You could characterize them as a less caustic. considerably more eclectic alternative to Rasputina. 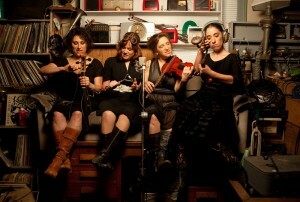 They’re playing Barbes on Oct 13 at midnight – and then they’re at Passim in Cambridge, MA the next day at 4:30 PM! 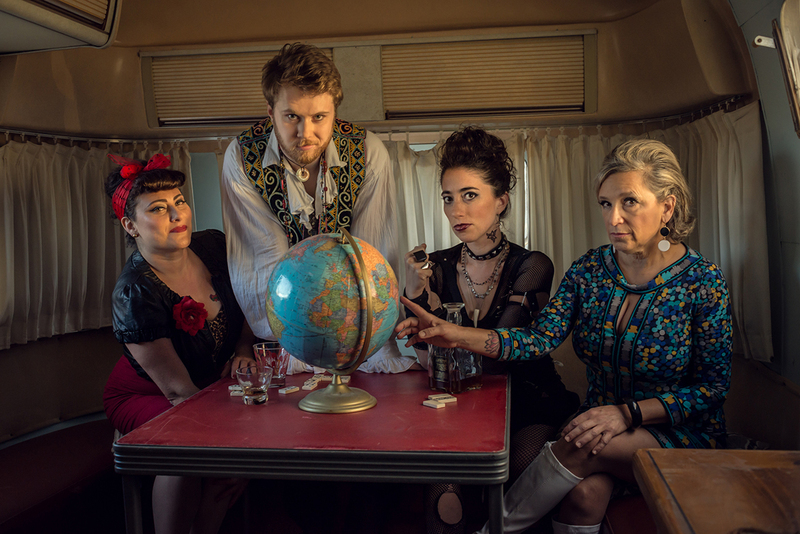 That same sense of adventure pervades their music, drawing on genres from around the world to create an enchanting, original, sometimes gypsy-tinged blend. 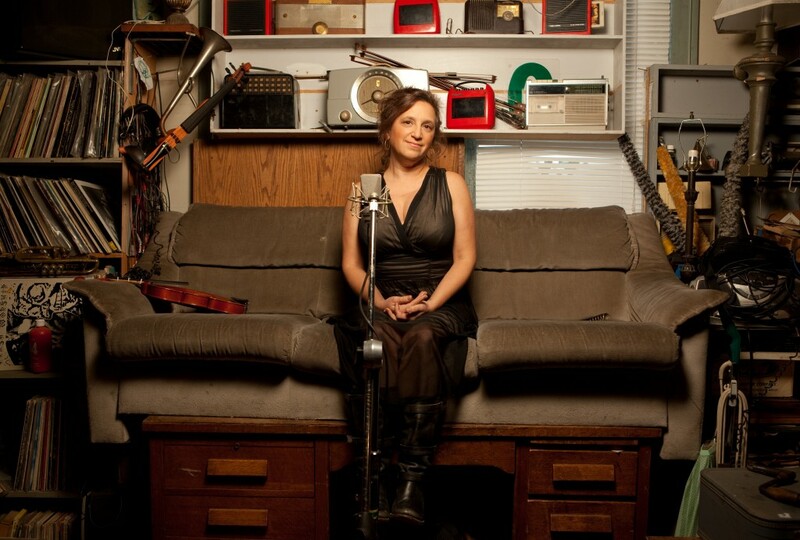 Irene Sazer was one of the original members of the Turtle Island String Quartet, but she’s erected a new wrinkle in the old gig in her new incarnation within the Real Vocal String Quartet, a deviation that’ll interest her old alma mater and then some. I mean, Christ, ya can’t possibly ace a group that numbered Mads Tolling and Darol Anger among its erstwhile august roster and still features incredible co-founder David Balakrishnan, but you sure as hell can give ’em reason to pause in their tracks, and that’s what Four Little Sisters establishes. For one, there’s an enticing sense of playfulness ranging right alongside the classical, avant-garde, folkways, and jazz sensibilities, nor does the band lack for cleverness or subtlety…and, hey, it’s all wimmens! 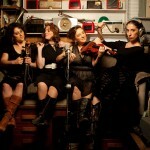 Four women, three violins, and one cello are the ingredients for this surprisingly eclectic and experimental collection of music. 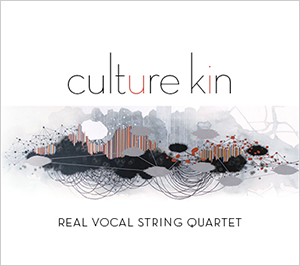 Real Vocal String Quartet melds influences from the predictable (chamber orchestra) to the less expected (jazz and folk) to the downright surprising (rock, West African, and Balkan music). 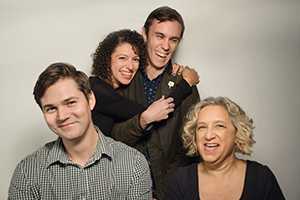 Genres are mixed, then layered with the quartet’s vocal harmonies and improvisation for results that are playful, complex, and often mesmerizing. 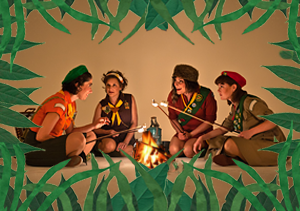 Each of these elements have a place in RVSQ’s cover of Regina Spektor’s “Machine.” The group’s second release, Four Little Sisters, is available through their website now. The four women of the Real Vocal String Quartet know they have something rare and unusual going, but it wasn’t until they answered a last-minute call to collaborate with the Canadian singer/songwriter Leslie Feist that they fully realized the singular nature of the ensemble. 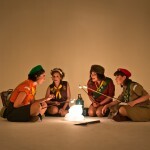 Bay area pomo babes go for it with girl scout uniforms hiding the sonic experimentation. A solid case of left of center girl power, this is a set that gleefully colors outside the lines that pairs Duke Pearson with Regina Spector with their take on traditional music. Certainly not for you if you watch “X Factor”, this head music is tailor made for those that like their pop music made for their summer home on Mars. The San Francisco-area quartet finds music and beauty in jazz, pop, string, and classic traditions. 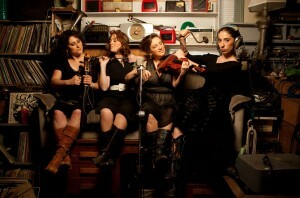 RVSQ is Irene Sazer on violin and vocals, Alisa Rose on violin and vocals, Dina Maccabee on viola and vocals, and Jessica Ivry on cello and vocals. “Machine” is a Regina Spektor song with delicate vocals and writhing string melodies. “Homage To Oumou” is a plucked string tribute and vocal medley in honor of Oumou Sangare–a female diva from Mali, Africa. Though, the string arrangements represent Scandinavian traditions. There are prancing tunes of Brazilian charm (“Copo Vazio”), Cajun folk music (“Allons a Lafayette”), and a David Byrne cover (“Knotty Pine”). The diverse material on the album is easily captured on the strings and vocal melodies without leading to boredom. 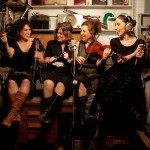 String fans unite with the pleasant instrumental and vocal magic of the Real Vocal String Quartet. Part Vocal. Part String Quartet. Very Real. ~ by castleqwayr on January 18, 2010. 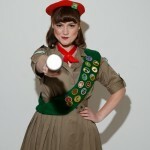 Irene Sazer was ready for a musical party, but tonight’s event at Freight & Salvage wasn’t what she had in mind. 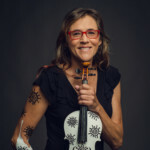 A force on the Bay Area music scene for two decades, the violinist corrals her far-flung musical passions in the Real Vocal String Quartet, a band that weaves together the textures of a vocal ensemble and a string band with a mix of original songs and Sazer’s arrangements of tunes from Ireland, Kenya and Brazil. 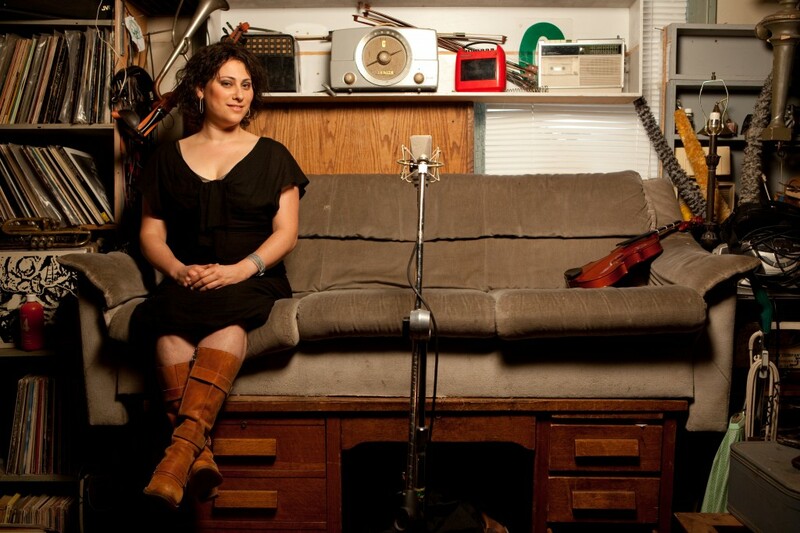 Instead of canceling the gig, Maccabee and fiddler Kaila Flexer put out the word to Sazer’s musical colleagues, turning tonight’s show into a benefit for Sazer, who will take the stage if she’s feeling up to it. Among the musicians scheduled to perform are singer-songwriter Vienna Teng, Aux Cajunals multi-instrumentalist Suzy Thompson, fiddler Amy Hofer, the Crooked Jades’ Erik Pearson on banjo, reed master Sheldon Brown, klezmer mandolinist Gerry Tenney, jazz and blues guitarist John Schott, and avant-garde cabaret vocalist Amy X Neuburg, a cast that reflects the many stylistic circles through which Sazer moves. 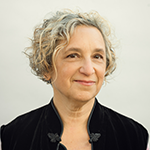 Raised in a musical family from Los Angeles — her father, Victor Sazer, a longtime fixture on the L.A. studio scene, is author of the instructional book “New Directions in Cello Playing” — Sazer graduated from the Peabody Conservatory and settled in the Bay Area in 1985. Within weeks, she helped launch the pioneering, jazz-steeped Turtle Island String Quartet. 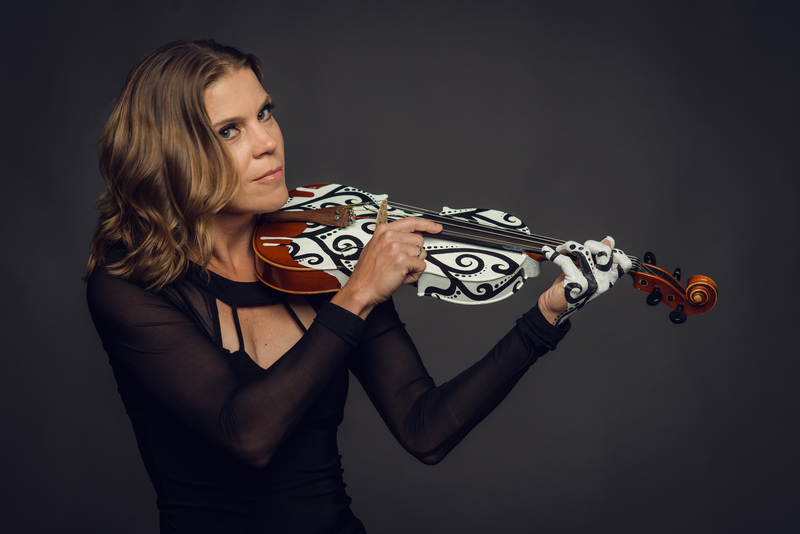 She’s served as concertmaster of the Bay Area Women’s Philharmonic and performed with the Oakland and San Francisco symphonies, while playing or recording with everyone from Ella Fitzgerald, Frank Sinatra and Ray Charles to Ali Akbar Khan, David Grisman and Bjork. Real Vocal String Quartet offers unique hands-on workshops, masterclasses, coaching, and educational sessions for string players of all ages, as well as music educators. 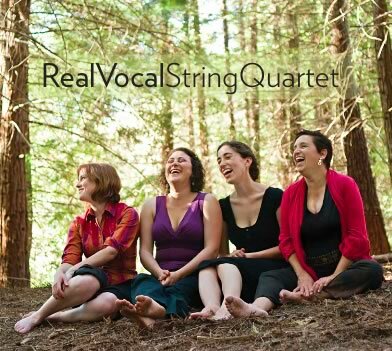 With the demand and abundance of alternative string playing, the members of Real Vocal String Quartet have found their niche and want to share it with you! Find you inner creative voice and learn to become more comfortable improvising, writing songs and playing your favorite string instrument! RVSQ brings unique string and vocal styles to audiences not just through performances, but through educational clinics, demonstrations and interactive workshops. 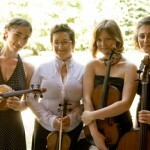 For these outreach events, Real Vocal String Quartet performs original music, demonstrates unusual rhythmic sounds and improvisational skills and techniques through games and song, and introduces techniques and characteristics drawn from a rich variety of string-playing cultures. Demonstrations and hands-on activities encourage learning in a friendly and fun environment where any level and age will benefit. RVSQ also shares in the creative compositional process for budding musicians and professionals alike. 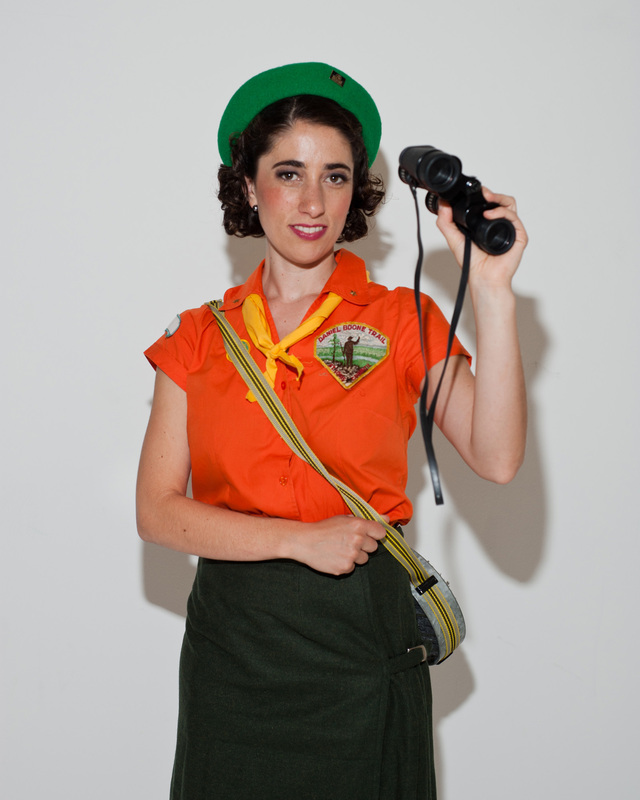 THE MEMBERS of RVSQ are all experienced pedagogues who teach privately, in schools, and on the road. The organizations at which our members teach include the San Francisco Music Conservatory Preparatory Department, the College of Marin, the Berkeley School of Strings and String Improvisation, Starr King Elementary School, the Berkeley School, and through the Adventures of Music program run by the educational wing of the San Francisco Symphony.